SharePoint Server 2010’s yet another new capability Document Sets facilitate managing documents as an entity based on their metadata (document property). The entity can be categorized based on the need or task which shares a common set of attributes and can be versioned as a whole (instead of individual documents) in SharePoint. The Content Type forms the underlying technique for Document Set and hence multiple document sets can be maintained in SharePoint. As a natural course for a SharePoint Migration Tool, our DocKIT for SharePoint 2010 product supports creation of Document Sets and classifying documents within them. With the existence of document sets in SharePoint, it optionally creates versions. 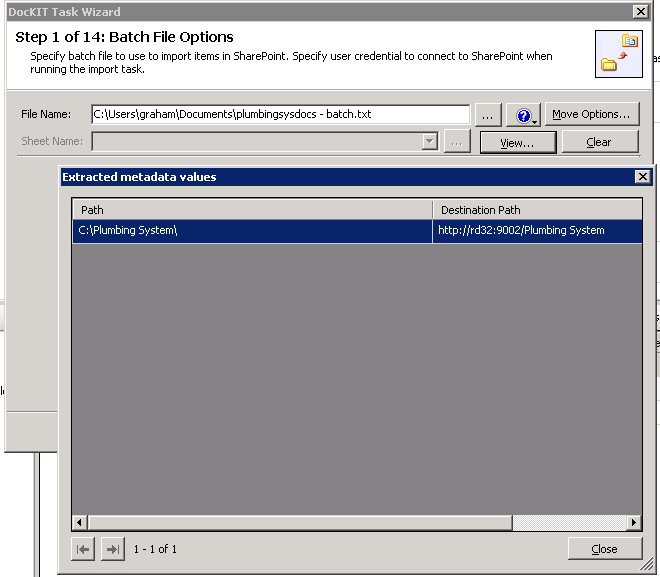 Let us consider the following folder structure maintained for plumbing system in the file system for migration into SharePoint. 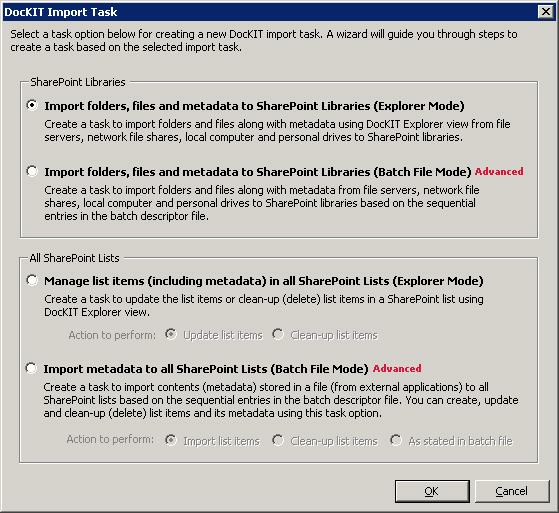 In DocKIT, create an import task using Import folders, files and metadata to SharePoint Libraries (Explorer Mode) or Import folders, files and metadata to SharePoint Libraries (Batch File Mode) option. 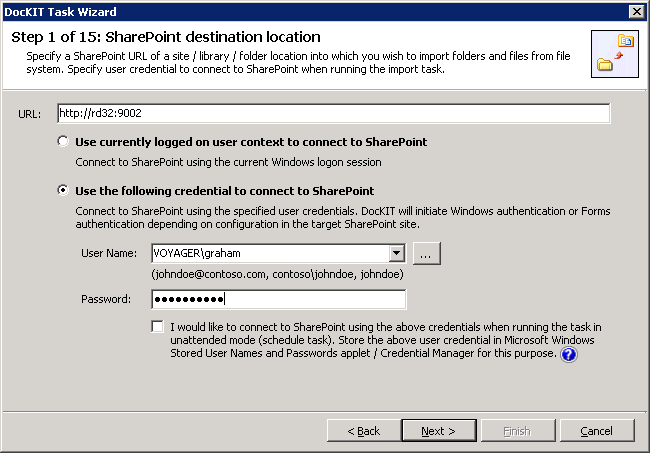 In Import folders, files and metadata to SharePoint Libraries (Explorer Mode) option: Select the desired SharePoint site to be used as destination. In Select items to import dialog, add the desired folders that you want to create as document sets in the destination SharePoint libraries. 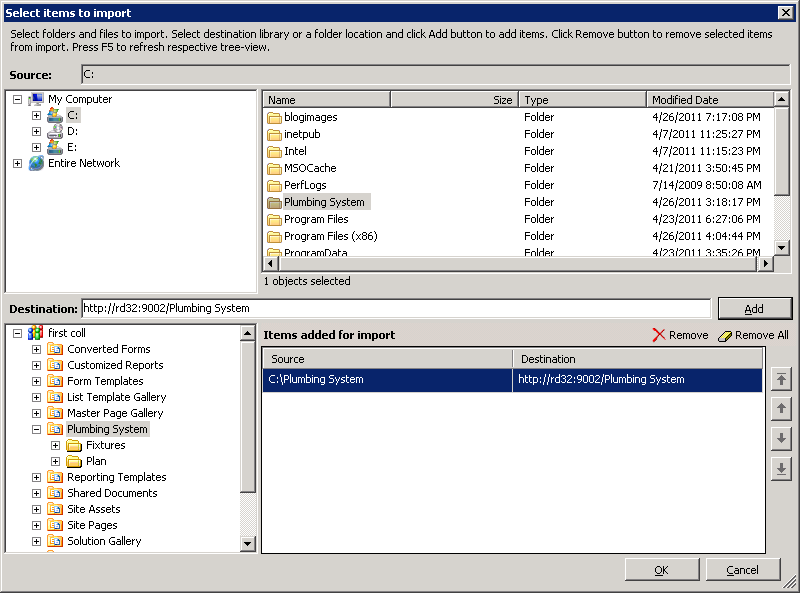 In Batch File Options step, select the desired batch descriptor file to be used as reference for import folders and files. Note:Ensure that you specify the desired folders that you want to create as document sets in the destination SharePoint libraries, destination path. Click Next to go to Metadata Options step. 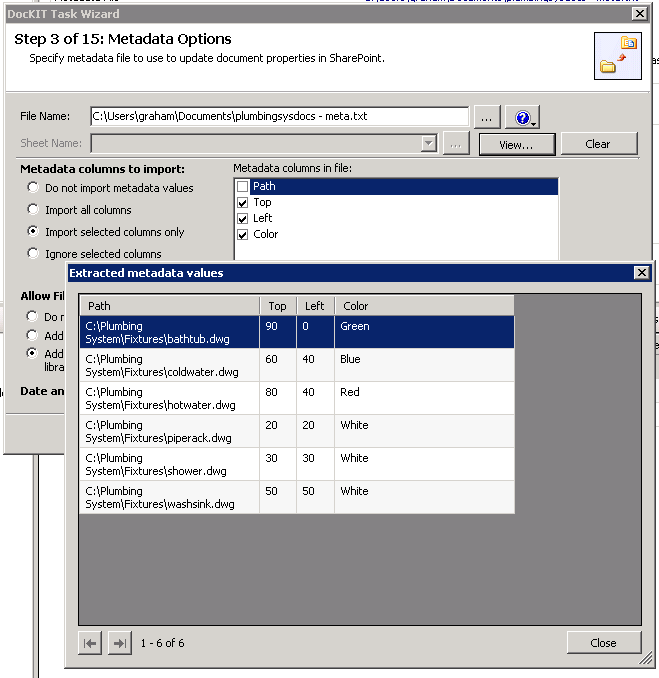 In this step, you can provide an external metadata file in (CSV/TXT/XLS) format to assign custom metadata for columns included in document set. Click Next twice to go to System Dates step. 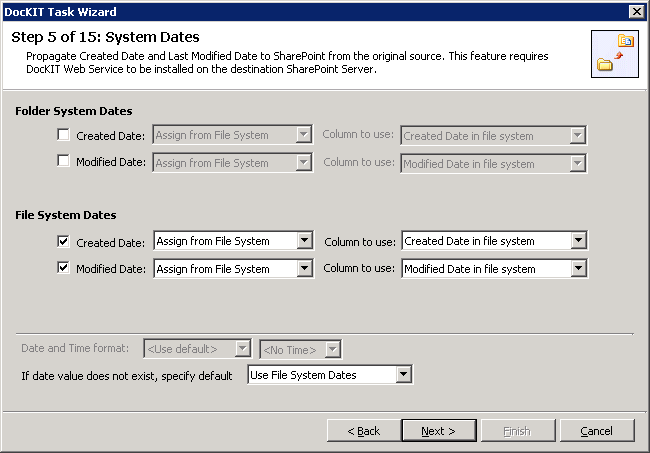 This step will assist you to retain the original date field (Created Date, Modified Date) values as in source file system to destination SharePoint. In this step, under Folder Content Type Options, specify a content type that is derived from ‘Document Set’ content type. You can either enter a content type name or select a column in the external metadata file (that contains the content type name) to be used. Proceed with the subsequent steps to reach Folder Options step. 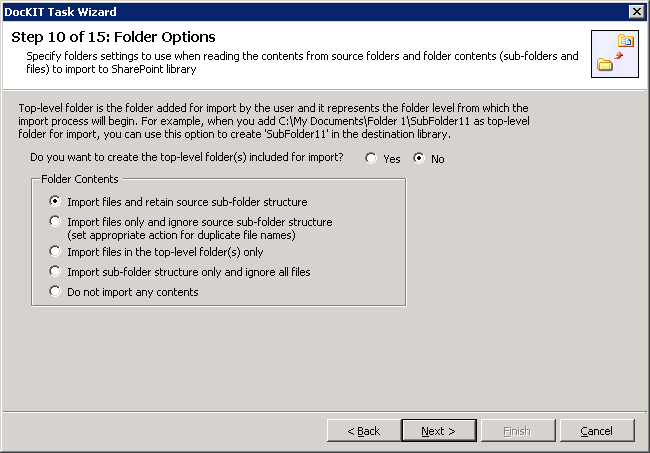 In this step, select a suitable folder option so as to create the added (top level / its sub-folders) folders as document sets in destination SharePoint library. Proceed with the subsequent steps to save and run the task. On completion of the import process, the folders will be created as document sets with files imported underneath them. You can download a 30-day trial version from the above product web page.